Mexico has become a very popular destination for travelers all around the world thanks to its beautiful beaches, cultural heritage and delicious cuisine among many other attractions. The most visited places this year so far have been the Riviera Maya, Vallarta Nayarit and Cancun. What all these three places have in common is the tropical feel that characterizes them-yet they are all very different. In order to help you choose which of these trendy places to visit in 2017 we made a comparison between all three of them. The Riviera Maya has an extension of 120 kilometers (which translates to 86 miles) is located on the north coast of the Yucatan Peninsula in the state of Quintana Roo. This region is known for its semi-tropical climate, perfect for a summer vacation. The Riviera Maya starts at Playa del Carmen and ends at the village of Tulum, including Cancun. This stretch is one of the most famous destinations for tourists in Mexico and it is no wonder why; with beautiful beaches, perfect weather and large scale all-inclusive resorts you can find just about anything here. Here you can find very developed cities, like Cancun, as well as classic full-of-history places, like Tulum, which is full of the Mayan culture and houses some of the ruins from said culture. Kite House is an amazing rental home in Riviera Maya, located in Playacar, a community close to Playa del Carmen. This villa has 4 bedrooms with en-suite bathrooms. Here you can comfortably fit 8 people, and enjoy services such as a private chef and a fitness room. This luxury villa can be rented from 1,700 USD per night. This villa is located on Akumal Bay. This chic oceanfront villa has 5 luxury bedrooms and a great view to the Caribbean Sea, making it perfect for a luxury getaway. Villa Mia also has an indoor-outdoor pool, where you will enjoy the tropical sunshine that characterizes the Riviera Maya. If you are traveling in a group of up to 10 people looking for a great vacation spot while in Mexico, then Villa Mia is for you. You can stay here for only $1,200 USD a night. Puerto Vallarta is located on the Pacific side of the country. Unlike Cancun, Puerto Vallarta (and Bahia de Banderas) is surrounded by mountains, which you can see from pretty much anywhere. This city has a lot of cobblestone streets and street vendors, giving it a more authentic aura. The beaches in Puerto Vallarta are fairly decent but the most spectacular are a short drive (or boat ride) away worth making. Vallarta is full of activities you can enjoy all day long, like cruises, horseback rides, trips to the beaches, spas, water sports, etc. This amazing villa has a view of Bay of Banderas that you will just fall in love with. The best part of it is that you are a short walk away from downtown Puerto Vallarta, as well as from Malecon. 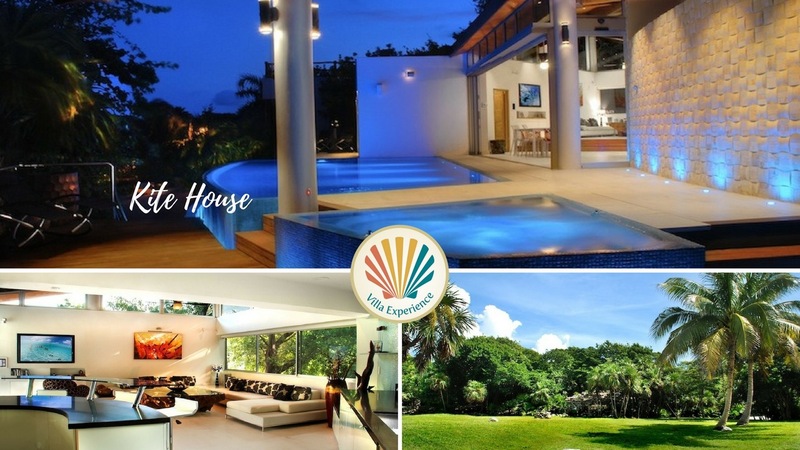 The price for this amazing villa is of $800 USD per night and it can comfortably house up to 10 people, as it has 4 king size beds and 2 single beds distributed in 5 bedrooms. 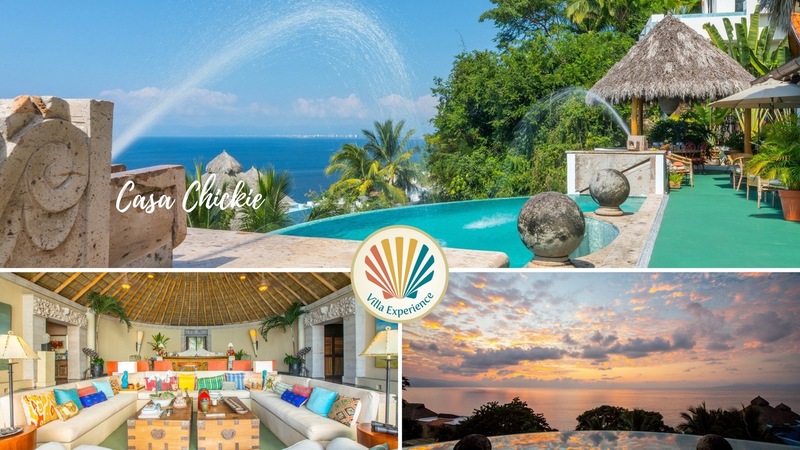 If you are looking forward to stay in a bit more of a fancy place, then Casa Chickie is a great option. Casa Chickie is one of the finest options in Bay of Banderas. You can enjoy a nice evening at the grand palapa, or the view of the sunset and the ocean from the terrace. This villa is $1,450 per night and can house up to 8 people. You will be able to enjoy a multiple of services, such as a private chef, Wi-Fi, grill, home movie theatre and more. Cancun is located on the Yucatan Peninsula, so its geographically closer to the East Coast and, as previously mentioned, it is part of the Riviera Maya. Cancun is the most developed of all three destinations. Much like Miami, the tourist area of Cancun (along Boulevard Kukulcan) has palm trees lined on either side of the hotel corridor, as well as big malls and open-air shopping centers. All hotels in Cancun are on the beach, so you can enjoy the view from your room or spend the afternoon by the water and there are some great luxury villas to stay in. Villa Patron is a chick and luxurious villa right in the hotel zone in Cancun. From the rooftop terrace you can enjoy cocktails with friends and family. 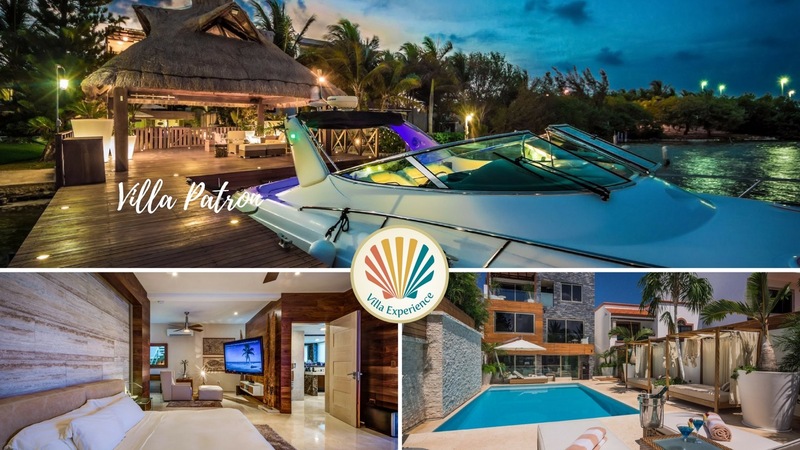 Villa Patron is designed for 12 people and has 2 swimming pools, a sauna, and a home cinema, so you can just sit back and enjoy your vacations to the maximum. You can get all this for only $1,400 USD a night. Moon Palace is also located right in the hotel zone of Cancun and overlooks the Caribbean Sea. This five star all-inclusive hotel is only 6 miles away from Cancun International Airport and has 2,457 guest rooms. While in Moon Palace Golf & Spa Resort you will have access a 27-hole golf course, a deluxe Spa with over 30 treatment rooms, seven swimming pools, two children’s pools, outdoor Jacuzzi, and more. Tagged destinations, holiday, Mexico, travel, vacation.